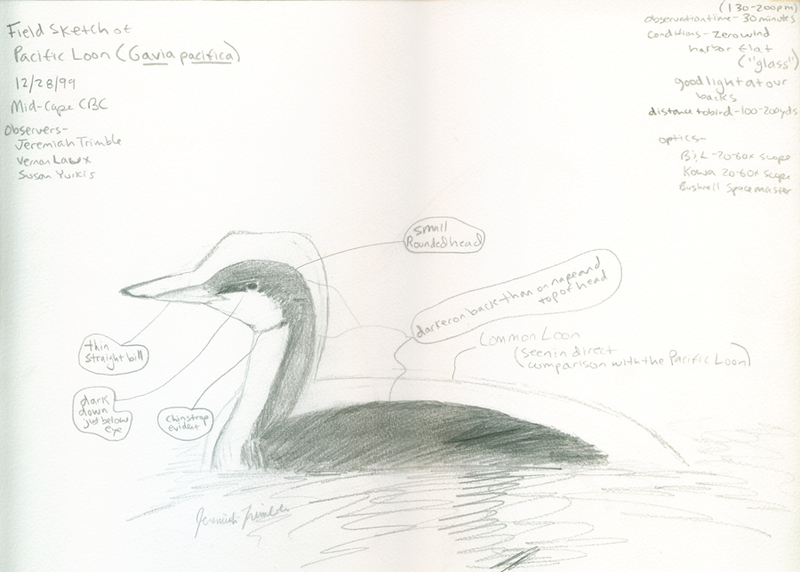 Sketch by J. R. Trimble. 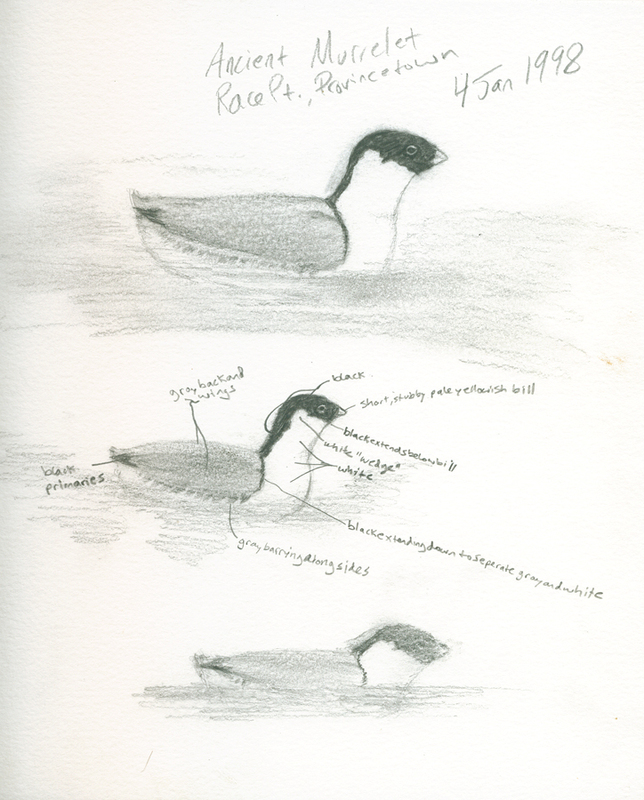 Field sketch of Ancient Murrelet (MARC # 1998-1) observed at Race Point, Provincetown, Barnstable on 4 Jan 1998. This represented the second record ever for state (and remains so). 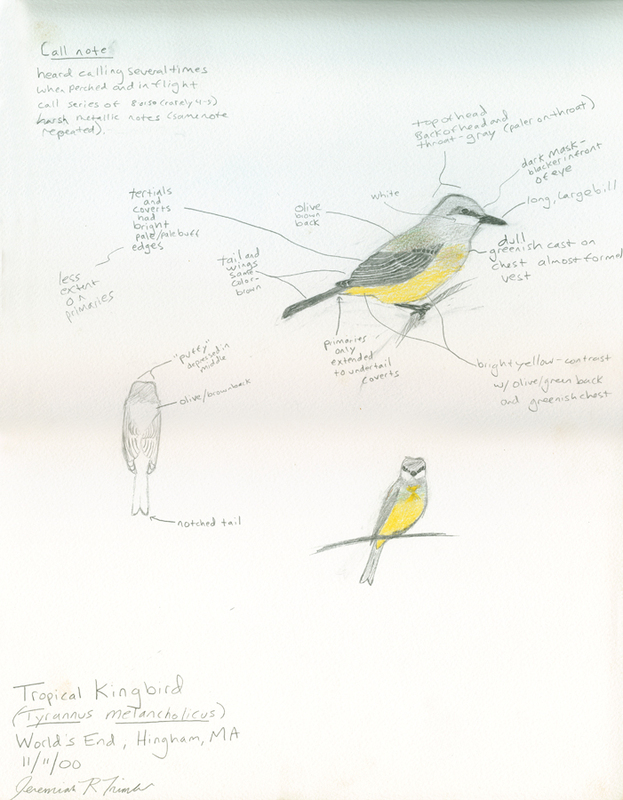 Field sketch of a Tropical Kingbird (MARC 2000-11) at World’s End, Hingham, Plymouth, from 11 Nov 2000. This represents the first and only state record.